The Citi® Secured Mastercard® is a secured credit card with no annual fee and a required minimum security deposit of $200 when you open your account, prior to card activation. If you have poor credit, or lack much of a credit history at all, this is a great card for building or rebuilding your credit. 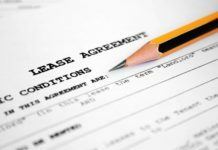 Although a recent bankruptcy filing is likely to disqualify your application, most other major credit blemishes are acceptable. 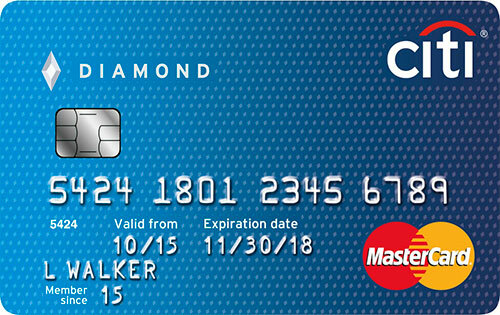 The Citi Secured Mastercard is comparable to other secured credit cards designed for people who wish to improve their credit scores, as well as certain unsecured cards for people with fair credit, such as Capital One QuicksilverOne and Capital One Platinum. However, those unsecured cards generally require stronger credit histories and a demonstrated ability to use credit responsibly. Once your card application is approved, you have 30 days to submit an initial deposit of at least $200, and as much as $2,500. This deposit is held for 18 months in a Collateral Holding Account that does not bear interest. To receive a refund of your deposit, you need to pay off your card balance (if any) in full and close your card and wait until the 18-month period ends (at which point Citi may offer to upgrade you to an unsecured card), or apply and receive approval for an unsecured Citi credit card before the end of the 18-month period. Your credit limit is determined when Citi processes your application, and is equal to the deposited amount held in your Collateral Holding Account – anything between $200 and $2,500. If you use your card responsibly and make timely payments, Citi may increase your credit limit automatically and invite you to deposit additional funds, though this isn’t guaranteed. Citi reports your monthly payment activity, including on-time and late payments, to the major credit reporting bureaus. After a while, timely payments (within approximately one month of your statement closing date) can build your credit and raise your credit score. There is no annual fee. The foreign transaction fee is 3%. Late and returned payments both cost up to $39. Balance transfers cost the greater of $5 or 3% of the transferred amount, while cash advances cost the greater of $10 or 5%. This card is for people with bad credit, so qualification standards are quite lenient. However, Citi does run a credit check during the application process and will not approve your application if you have had a bankruptcy in the recent past. Reasonable APR. By secured credit card standards, Citi Secured Mastercard has a reasonable regular APR. Some competitors’ APRs are significantly higher. No Annual Fee. Most secured credit cards charge annual fees, so Citi Secured Mastercard is a notable exception. Merrick Bank’s Secured Visa and BankAmericard Secured Credit Card both charge more than $35 per year, for instance. Credit Limit Can’t Be Higher Than Security Deposit. Your credit limit is always equal to your security deposit, no matter how much you deposit or how reliably you repay your balances. Some competing cards, including Capital One Secured Mastercard, offer credit limits greater than the cardholder’s initial security deposit. No Rewards. Citi Secured Mastercard doesn’t have a rewards program. That’s a big drawback relative to some lesser-known secured card competitors, including Navy Federal Credit Union nRewards Secured, which offers unlimited 1% cash back. Credit Check Required. Citi requires all Secured Mastercard applicants to submit to credit checks. If you’ve filed for bankruptcy within the past couple years, your credit report reflects that, and your application will almost certainly be denied. Some competing secured cards, including OpenSky Secured Visa, don’t make credit checks part of the application process. Has Penalty APR and Foreign Transaction Fee. This card comes with a 29.99% penalty APR and a 3% foreign transaction fee. These charges and fees hurt cardholders who occasionally make late payments or travel outside the United States. Not every secured card charges penalty interest and foreign transaction fees – for example, Capital One Secured Mastercard waives both. No Interest on Collateral Account. Your Citi Collateral Holding Account is interest-free, so your security deposit doesn’t grow with time. This is an unfortunate change from previous versions of the Citi Secured Mastercard, which held security deposits in interest-bearing CD accounts. It’s also a minor drawback relative to competing cards such as the U.S. Bank Secured Visa Card, which holds deposits in FDIC-insured accounts with annual interest rates of comparable to other big-bank savings accounts. That’s not much, but it’s still something. Like other secured credit cards, Citi® Secured Mastercard® is a means to an end: better credit. It’s not a card to aspire to hold in your wallet for the long term. Rather, it’s a card that’s meant to be used as a stepping stone to a higher credit score. Following many consecutive months of responsible use and timely payments, your Citi Secured Mastercard will hopefully have served its purpose. You then have a green light to apply (and receive approval) for better credit cards: cash back credit cards, low-APR credit cards, and cards with attractive sign-up bonus opportunities. As long as you use those cards responsibly, you’ll have no further use for your Citi Secured Mastercard. If you don’t have a recent bankruptcy, can afford at least $200 for the initial deposit, and want more benefits than a typical secured credit card offers, the Citi® Secured Mastercard® is great for building or improving credit. However, it’s not ideal for people with very poor credit, nor those who want to earn rewards. This card’s reasonable APR and lack of annual fee make it attractive. However, its inflexible credit limit, penalty APR, credit check requirement, and lack of rewards all count against it. Overall, this is a great card for building credit, but not for people at the very bottom of the credit barrel.